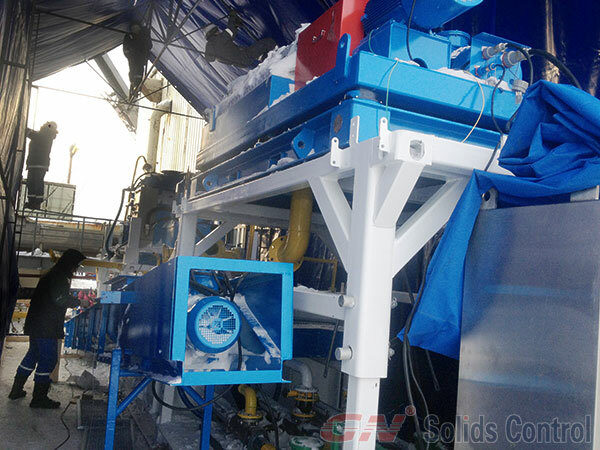 As we know, GN Solids Control shipped 4 sets of cuttings drying system to Russia in 2014.It was put in operation in the winter with temperature at 40 C degree. The client is very satisfied with the performance of GN cuttings dryerand decanter centrifuge working in such a low temperature. 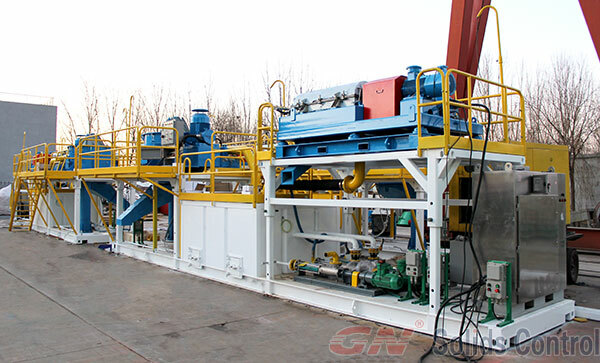 Following is the drilling cuttings drying system in GN Solids Control factory before shipment. Following is the GN cuttings drying system before insulation coverage. Following is the GN cuttings dryer inside thermal cover. You can watch the complete process of GN cuttings dryer & decanter centrifuge working in the videos. 3 Screw Pumps, one for flushing the dryer, one for feeding centrifuge, one for transfer of drilling fluids for the discharged fluids from the centrifuge. One 11.5m 3 runner oilfield skid for mounting all the equipment. Two telescopic skid, one for mounting cuttings dryer, one for mounting the centrifuge.